Bovis Homes and the other home builders within the Sherford Consortium are inviting the public to learn more about the history unearthed at Sherford at its latest Archaeology Open Day taking place on 24 September, from 10am - 4pm. An array of significant new discoveries will be on display. The public will be able to find out more about the history of prehistoric Devon communities from a selection of professional archaeologists and local archaeology experts. They will also be able to see some of the ancient artefacts discovered at Sherford and dig for their own historic treasures by taking part in mini-sandpit excavations. Led by Wessex Archaeology and AECOM, archaeological investigations have been taking place across Sherford since last year, with geophysical surveys revealing the landscape is rich in history spanning thousands of years. Notable recent findings includes flintwork dating back to 8500-4000 BC, indicating that hunters and gatherers thrived in the area long before the first communities arrived. By analysing the artefacts discovered during the excavation works, archaeologists have been able to gather a wealth of evidence to increase their understanding of Sherford's distant past. 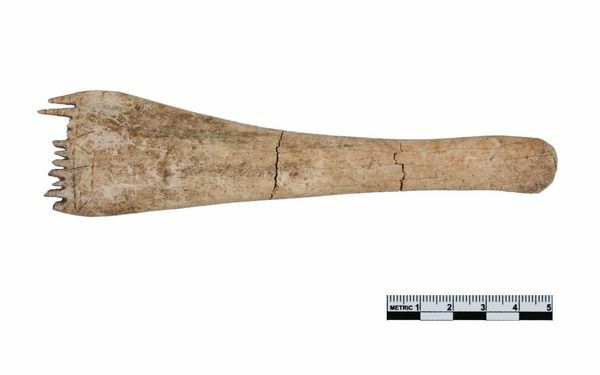 These findings include, a rare decorated bone weaving comb, Roman pottery, coins, bones and roundhouses - which functioned as homes for large family groups within prehistoric farming communities. The excavation also revealed two Early Bronze Age (2400 -1600 BC) burial mounds (also known as barrows), with one containing the cremated remains of an individual, likely of high importance, within a decorated pottery vessel. Located in a shallow valley, the two sites appear to have been sacred ground for over two thousand years, and visitors will be able to see the second barrow which is in the process of being excavated. Plymouth Museum and Devon County Council Senior Historic Environment Officer, Stephen Reed, Plymouth City Museum and Wessex Archaeology will also be in attendance, providing insight on the excavation works, informative talks and 3D reconstructive imagery, to help bring Sherford's history to life. Visitors wanting to attend the open day can simply attend on the day, with access to the site available via Vinery Lane. This is best approached from A38 (Plympton direction), with the postcode of PL9 8DD - but parking will be limited. Andy Mayes, Principal Archaeologist, AECOM said: "Since the last open day, we have made some exciting and surprising discoveries spanning various historic periods, making the site one of the most fascinating large-scale, archaeological projects we have worked on to date. "The prehistoric landscape of Devon is currently poorly understood, and our findings at Sherford have national significance, expanding our historic understanding of the local area. Our recent dig revealed exciting evidence of a Romano-British settlement, providing invaluable insight as to how much the Roman Empire influenced the South West. "The current excavation works are part of a larger project, and we are excited to showcase our progress to the public, who we hope will have the opportunity to learn about the history of the region, as well as how archaeological works of this scale are conducted." Bill Horner, County Archaeologist, Devon County Council adds: "Devon County Council has been ensuring that archaeological work takes place at Sherford since the planning proposal was first considered. Developments of this size are very rare in Devon and it gives us a unique opportunity to look at archaeology on a landscape scale. We want the local community to understand what archaeology is being found and to share and enjoy the discoveries." Brian Deacon, Sales and Marketing Director, Sherford Consortium said: "Sherford is going to be a modern thriving community, situated in a location which has been used as a home for families for the past two thousand years. We want to ensure the public is provided with the opportunity to continue to learn more about its rich ancient history, as well as exactly how these fascinating discoveries are made by the archaeological team." Please note that the open day may be postponed in the event of bad weather. For more information regarding the excavations and archaeology works, visit www.wessexarch.co.uk/projects/sherford. 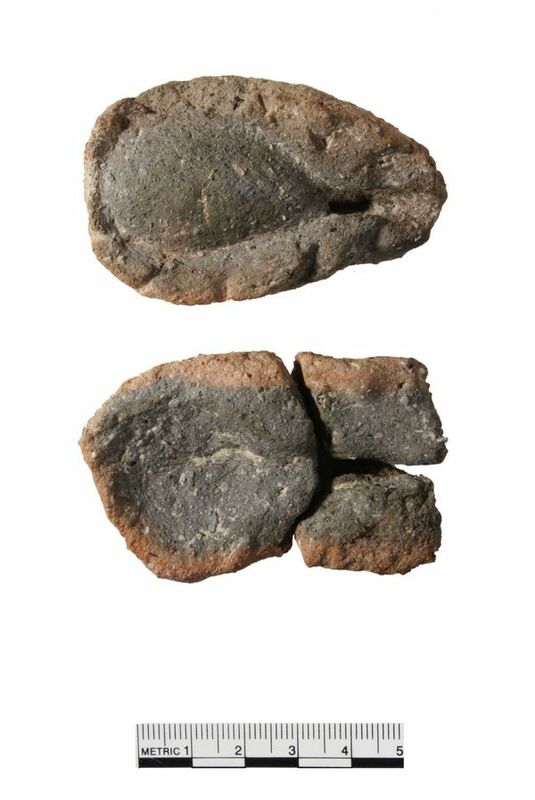 The most significant artefacts discovered at Sherford, from Matt Kendall, Site Director, Wessex Archaeology. 1. Early Bronze Age pottery (2400-1500 BC): This pot, known as a Food Vessel, was found during the excavation of a round barrow, which is a mound of earth and/or stone raised over a central burial placed in the middle. 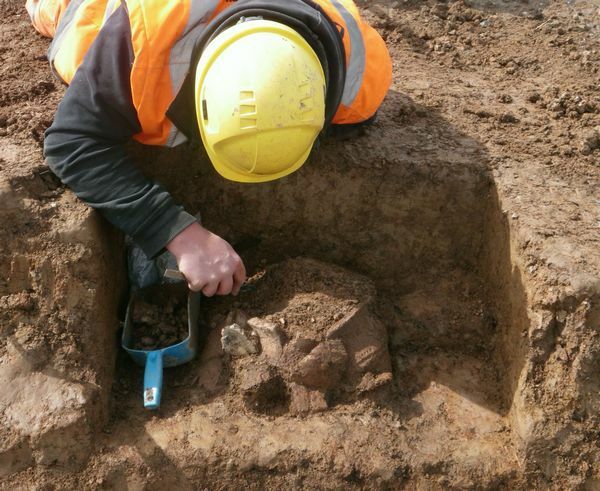 The vessel was found within the centre of the mound and contained cremated human bone. We can assume that the person held some importance within their community to have been buried in such a way. No other human remains were found, meaning that the round barrow was built especially for this person. 2. 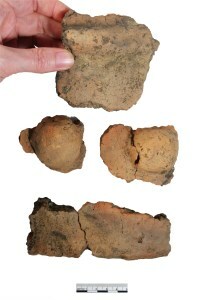 Middle Bronze Age Treviskar Ware (1500-1100 BC): This was found within a Bronze Age roundhouse on the southern edge of the site. The pieces represent large cooking pots which are over 3,500 years old. The pots were decorated with fingertip and fingernail impressions and some have deeply incised V-shaped motifs. 3. Iron Age comb (100 BC-AD 43): The comb was discovered during the excavation of an Iron Age roundhouse. The comb is nearly complete and is decorated with chevron incisions - even the teeth were decorated. The comb is made from a piece of antler and would have been used for weaving on a loom. Such a find shows us that people were manufacturing textiles here. 4. Late Romano-British Pewter plate (AD 250-410): Our excavations of the surrounding ground near the roundhouses, revealed the discovery of what was once potentially a crop dryer. 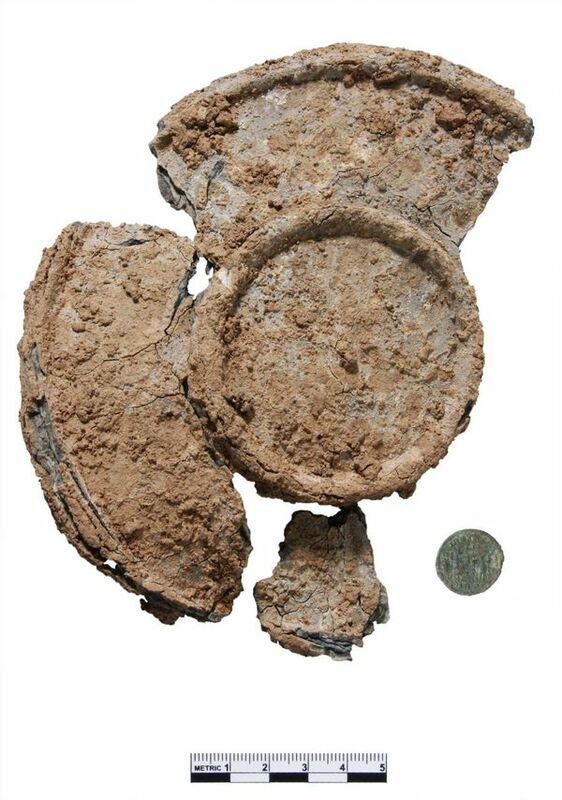 The pewter plate was found at the base of the dryer, along with a later 4th century Roman coin, and appeared to have been deliberately placed before the crop dryer was decommissioned. 5. Romano-British spoon mould (AD 43-410): The discovery of this rare mould for casting a metal spoon is very exciting. It was found during the excavation of a Romano-British settlement. Although we have yet to analyse the evidence found from this excavation, such a discovery provides a tantalising insight into some of the activities that were being undertaken at the time. The mould shows that metalworking was being conducted at the settlement, which also has evidence for ovens and a roundhouse.